are licenced and are experts in their field. Anneli has always been passionate about eyebrows and make up. Following a 17 year career as a professional dancer and performer where she honed her skills as a make up artist, Anneli completed her aesthetics training in Las Vegas in 2000. 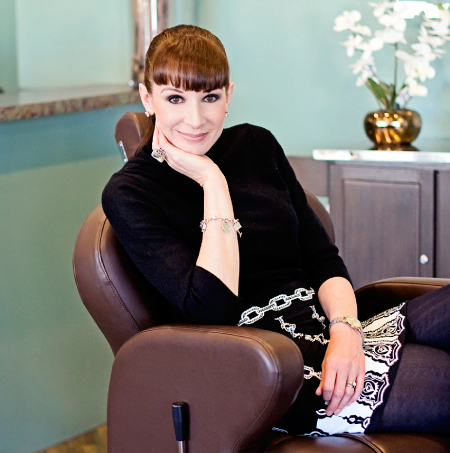 For over 15 years Anneli has always worked in both the luxury spa industry and also the clinical skincare industry. 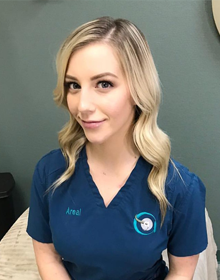 Until recently Anneli worked as an aesthetician at a 5 star resort on the Las Vegas strip for 10 years and she has also been a resident aesthetician with Advanced Aesthetics for the past 14 years. In 2017 Anneli also became a licensed tattoo artist with the Southern Nevada Health District. She now also offers eyebrow microblading services and she will be expanding her permanent make up and paramedical tattoo services menu throughout the year in 2019. She is now thrilled to offer her sought after eyebrow services from her very own brow bar, Browz! Areal's love for aesthetics started at the young age of 16, when she began working at Advanced Aesthetics medical spa. She is an absolute natural with brows and make up - she is meticulous and detail oriented and she is passionate about perfection! In 2017 Areal became a licensed aesthetician and began working for Advanced Aesthetics in the skincare department, providing clinical skincare treatments. To further her skills after graduating Areal has trained extensively with Anneli on all of the services that Browz has to offer. We are thrilled to now have her on board with us as a new brow artist! "Great experience overall! Everything was thoroughly explained and had compliments from the time I walked out the door. FaceTime with my daughter and she loved them!" "Great professional results, efficient and exceptional. Very pleased." "Thrilled with the results! Thank you. You’re the best, and it was also nice talking to you today." © 2016 Browz, All Rights Reserved.